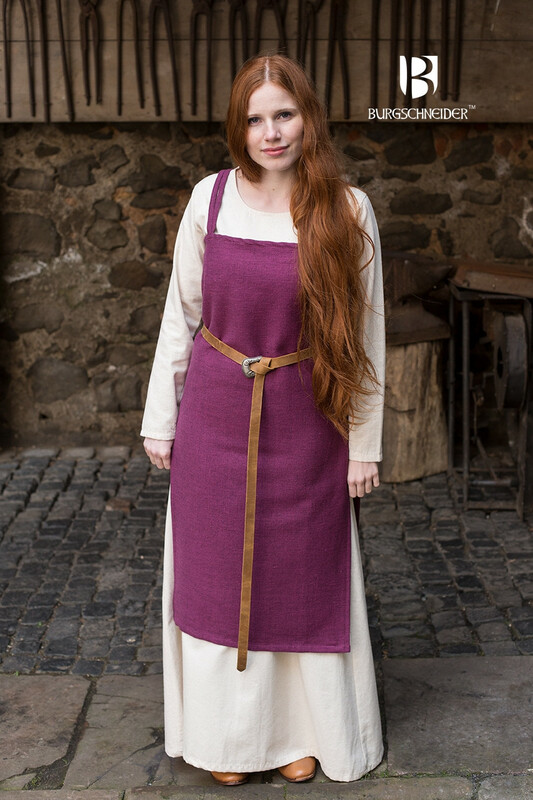 The Viking Apron Dress Frida for Vikings is made of uncombed cotton and thus gets its rough structure. It is a simple bridle that can be worn with various accessories. 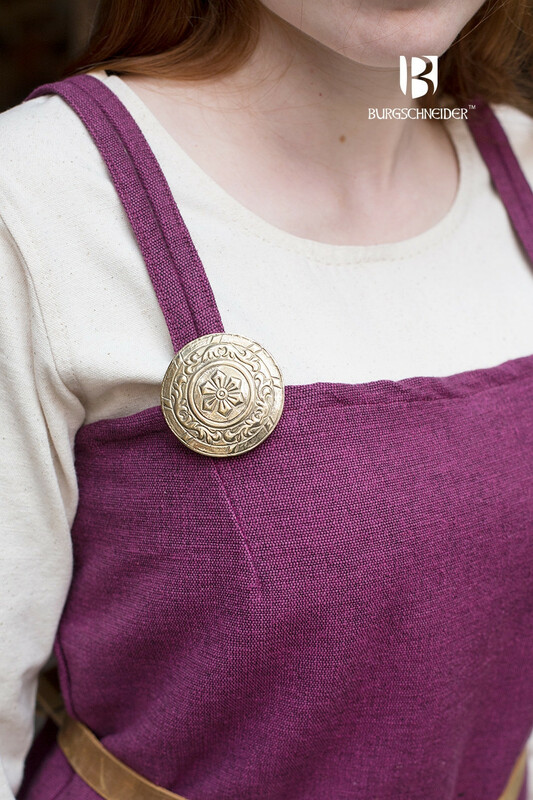 A matching undergarment rounds off the overall picture. Large slits on the sides of the wearer make the movement easier. 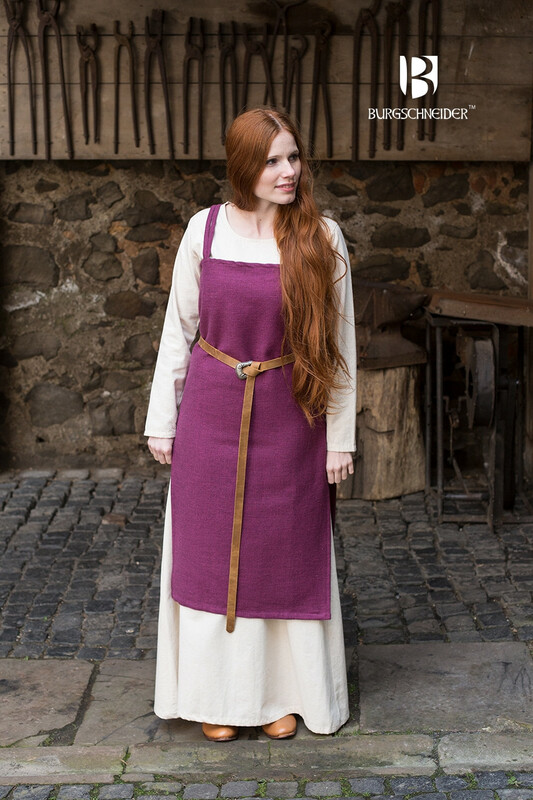 The cut is suitable for early medieval reenactment, and Historic LARP styles.